There are a lot of SEO tools out there, but very few could scale to the needs of my agency at an affordable price point. We were using IBP and another cloud based solution. With an ever increasing client base, IBP was starting to show it’s limitations. I gave Advanced Web Ranking a try and came away with a tool I can definitely use for the next couple of years. Note: This review is written based upon experience with the Enterprise/Server package. I track approximately 60,000 keywords. That’s a very heavy burden and totally impossible if you pick the wrong tool. While other solutions can handle this volume as well, a simple price comparison will show you they’re cost prohibitive. To answer that, you’re only limited by time and bandwidth. Considering I can easily report at the volume I do with room to spare, a smaller agency shouldn’t have any problems. Commence Rocking and/or Rolling. I must mention that proxy IP addresses are necessary to report at my current volume or greater. There are many ways you can source IP addresses. But you shouldn’t rely upon free proxies. First, you’re opening up your agency’s network to a massive security vulnerability. Second, free proxies are unreliable and tend to disappear without notice. Yes, Virginia, it’s still necessary to manually review reports. However, you can forgo the drudgery of email attachments. Just schedule the date and time you want to report and AWR handles the rest. If you do a lot of reporting, this feature saves a lot of time and frustration. You can also opt to send reports via FTP, if having a centralized report repository is your thing. The first big feature of this SEO tool is that reports can be white labeled. Just select your agency’s logo and you’re ready to roll. Reports are also highly customizable and can output to a number of formats. You can send a PDF to your client and a CSV or XLS to your team for deeper analysis. This feature can be somewhat valuable, but since I connect through proxy IP addresses, it hasn’t proved the most valuable feature. You can report at the city level, but I haven’t noticed much of a difference. All the same, this is a potentially valuable option considering the increased fragmentation of search in general. If your client is far afield, AWR can handle that. It features an exhaustive list of search engines. But if you have a client in Japan, I would recommend having proxy IP addresses specific to that country. Analytics integration is a big time saver. It also helps you identify keyword variants that drive traffic. AWR pulls many core dimensions and metrics from Google Analytics and puts them in one place, under an intuitive dashboard UI. While this isn’t the tool’s strongest feature, it does provide some dimensions of social media reporting. Though this is mostly meant for the analyst, rather than the client. This is the tool’s one upsell area. You have a few ‘link credits’ to start with, but that would never work at my scale. You have to purchase more link credits or use the Mozscape API. But you’re still limited to the terms of the Mozscape API. This is a very solid SEO tool. There are many other features I haven’t mentioned. That’s mostly because my experience precludes their necessity. I’ve developed my own ways which are far more effective, in my humble opinion. Though if you’re looking for a scalable reporting tool with a ton of bells and whistles, look no further. 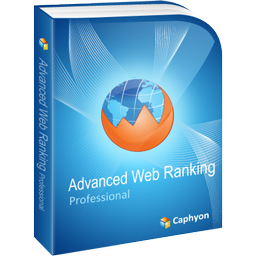 Advanced Web Ranking is your SEO tool of choice. It doesn’t hurt that it beats all other tools for overall value either.